DetectingScotland.com - Metal Detecting in Scotland, UK » Forum » Detecting Discussions » Military Badges and buttons for ID and show » Dunbartonshire Rifle Volunteers Glengarry cap badge. I found this badge in a local field some years ago and it remains one of my favourite finds. 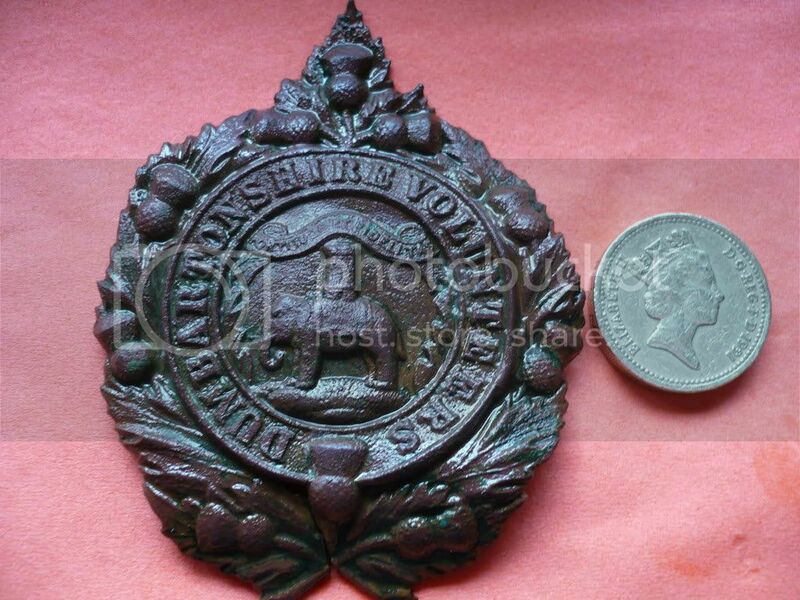 Its a Glengarry cap badge of The Dunbartonshire Rifle Volunteers, the local volunteer regiment. 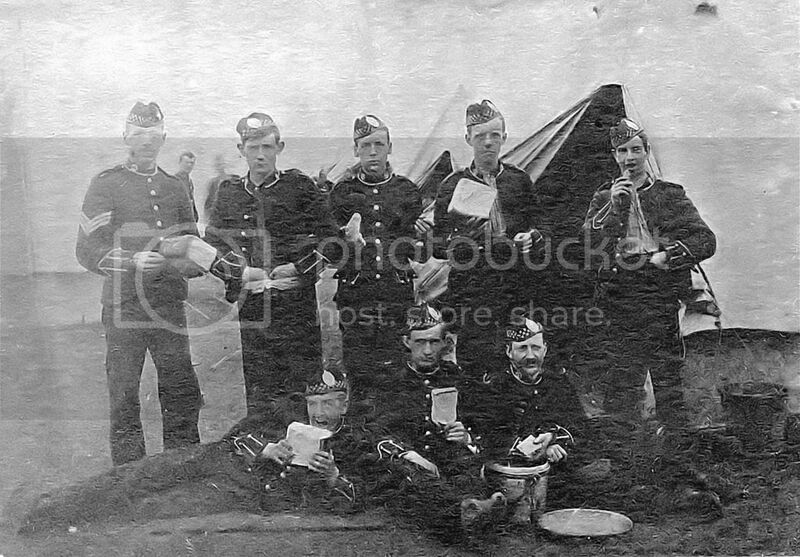 The second pics shows members of the Dunbartonshire Rifle Volunteers around the early 1900's enjoying their plain loafs Maybe the badge was lost by one of the guys in the picture, who knows ? Re: Dunbartonshire Rifle Volunteers Glengarry cap badge.